The Amazon Spring Sale, like all Amazon sales, has served up some savings on robot vacuum cleaners – nobody wants to pay full price for these things – and today sees a massive saving on one of the best robot brands. The Neato Robotics Botvac D602 Connected can be controlled from your phone and via Amazon Echo voice control with its Alexa skill. 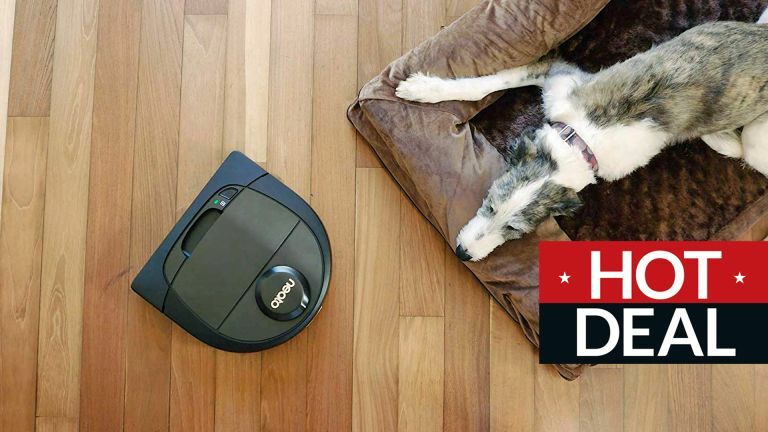 Botvacs are easily among the best robot vacuum cleaners money can buy, and the D602 is an excellent android floor sweeper. What makes Neato among the best? The most recent iRobot Roombas have arguably surpassed it (for now), but for a long time, Neato was way out in front, and its robots and software are still right up there. The Botvac moves in a logical and controlled way, cleaning carpets and hard floors methodically. It's good at getting around obstacles and also powerful enough to get over smaller ones. It manages to do this without damaging your furnishings, too. The D shape allegedly means better cleaning of corners, although the jury's out on this. Like most cleaning robots, it returns to its base to recharge when battery is running short. However thanks to the efficient way in which it cleans, the Botvac can generally get around an average-sized floor without needing to do that. The app is still the best in the business. Once your Botvac has cleaned a few times it will store a map of each floor of your home (up to 3). You can then send it to clean specific areas, and set no-go zones, for those areas that robots just can't handle. You can also schedule regular cleaning jaunts and control the robot from anywhere, via the mobile app.